Hair is among the first and most noticeable characteristics of human appearance. Good hair is often a sign of virility — it can enhance personality and make us appear healthy and beautiful. On the contrary, weak hair or baldness may suggest an illness. You are born with all the hair follicles you will ever have in a lifetime, which is about five million distributed across the body. However, only around 100.000 follicles belong to the head. New job, giving birth, new food regimen — no matter what the change is, it might cause you to shed some hairs because change often comes with stress. If you experience hair loss following keto, don’t get discouraged — it is often a temporary problem. Follow our how-to tips below to fix keto hair loss once and for all. How to Prevent or Minimize Keto Hair Loss? The medulla is a soft and sensitive innermost layer of the hair. It’s made up of loosely attached keratin cells. The cortex is the core of the hair made of many thick hairs that provides hair’s texture, strength, and decides its color. The cortex takes up around 80 percent of the hair’s volume. It consists mainly of keratin and structural lipids. 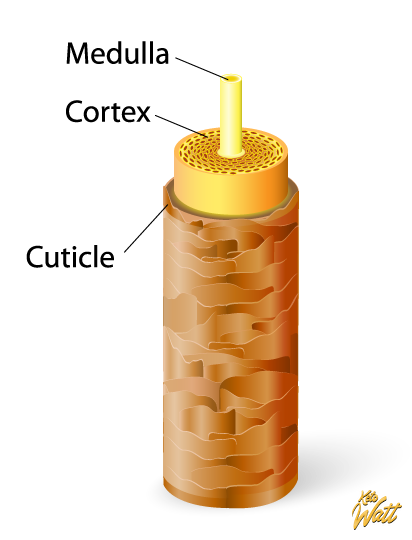 The cortex is surrounded by a layer of dead cells called the cuticle. This last layer of overlapping cells with its fish scale appearance serves as protection and gives our hair a beautiful shine. 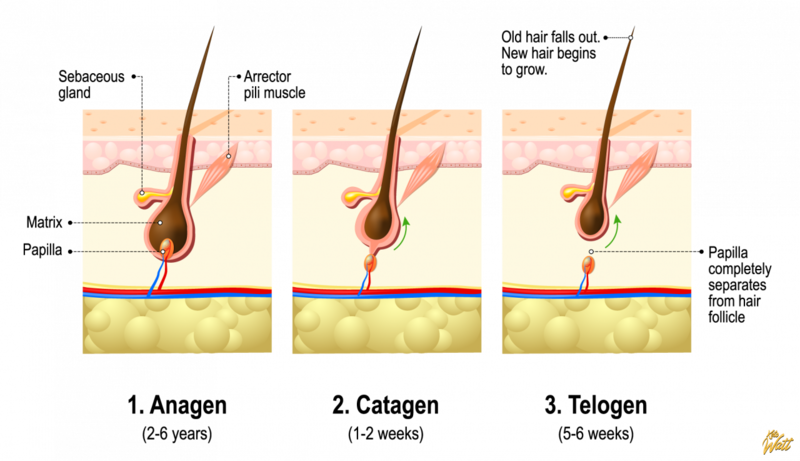 A single strand of hair is forced upwards from the root, through the hair follicle, towards the surface of the skin known as the shaft. This process is conducted with the help of the small blood vessels that carry enough nutrients to the follicle bulb, giving enough power for the new hair to grow. To fully understand hair growth and the possible problems you might experience with your hair, it’s important to understand the cycle that each hair strand goes through. Hair grows in three cycles or phases: anagen (active), catagen (resting), and telogen (regression) phase. Every single hair strand has its own growth pace. At any moment, from starting to grow to falling years after, each hair is in one of the three phases. Shedding is considered to be a part of the telogen cycle. Anagen phase. The first and the most active phase — this is when the cells are dividing in the root of the hair. This is also the time when the amount of melanin — the pigment that decides the hair color — is at its highest point. During the anagen cycle, each strand of hair grows about a centimeter, or little less than half of an inch every month. This phase lasts three to five years on average, and little longer (up to seven years) in Asian population. Catagen phase. This is a short transitional period that lasts around 10 days and only about one percent of hair follicles are in catagen phase at a time. Most of the hair follicles (around 90 percent) are in anagen phase, and 10 to 14 percent in the third phase. Telogen phase. This phase is the resting cycle of the hair growth. It’s normal to lose 50 to 100 hair strands daily. Once when the full cycle of hair development is finished, the hair sheds. The new strand starts forming in the empty follicle approximately three months after the shedding. Problems with hair growth such as thinning or excessive fallout mostly occur when the hair growth cycle (anagen phase) is obstructed by stress, illness, caloric restriction, adrenal fatigue, metabolic imbalances, or lack of crucial vitamins and nutrients. These are the common reasons why hairs may enter the telogen phase prematurely and begin to shed excessively. For example, if you experience major hair loss a month or two after an illness or restrictive dieting, which includes transition to keto diet as well, this means that your anagen phase was cut short. Hair shedding often occurs in people who lose a significant amount of weight fast, or those who transition to new nutrition regimens, including a keto diet. 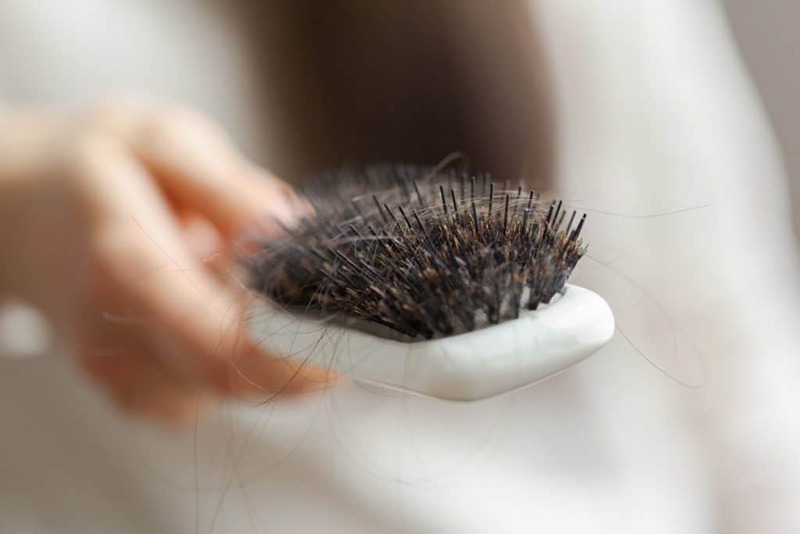 If you’ve been trying to lose weight and aggressively restricting your caloric intake, researchers claim that this might be the reason why you started noticing more hairs on your pillows and hairbrushes than usual. If you suddenly cut some crucial nutrients from your diet such as Vitamin C, iron, zinc, or biotin, it’s possible that your body gets rid of your hair to spare more nutrients for your vital organs. To avoid hair loss even while on caloric restriction, make sure to still include enough protein, vitamins and minerals, especially zinc, in your diet. Telogen effluvium (TE) is perhaps the most common type of hair loss. The condition isn’t that scary overall — a person rarely loses more than 50 percent of their hair. Studies have shown that TE can be caused by many factors other than lack of nutrients — physiological or emotional — including pregnancy and childbirth, high fevers, surgery, some types of chronic diseases, as well as drug abuse. It occurs around two or three months after the event that provoked it. Luckily, it’s reversible in just a couple of months if you find what’s been triggering the condition. Iron levels in the blood can determine the quality of hair. If they are low, the body can’t produce enough hemoglobin, which is required to provide oxygen to the hair follicles. In a study conducted on women with iron deficiency, eight out of nine experienced hair loss, which might be an important indicator that persons with anemia are at a risk of losing hair. Another larger research study showed not only that iron deficiency plays a role in hair loss, but that it also makes hair fall out in a way similar to the loss caused by androgenetic alopecia (male- and female-pattern baldness). Despite eating beef, many people who follow ketogenic diet still lack this important nutrient. 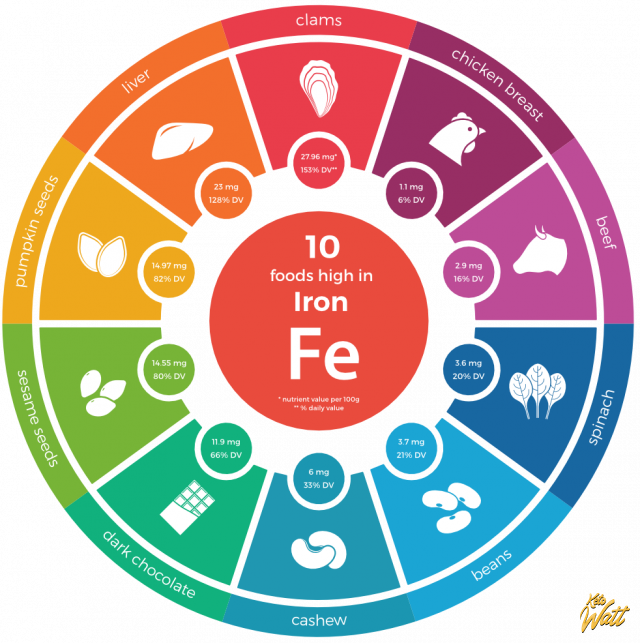 Some good low-carb sources of iron other than beef include dark chocolate, chicken liver, Swiss chard, spinach, almonds, and seafood such as oysters and octopus. Vitamin B3 (niacin). Nicotinic acid is crucial for the overall health of the body, but also plays an important role when it comes to hair health. 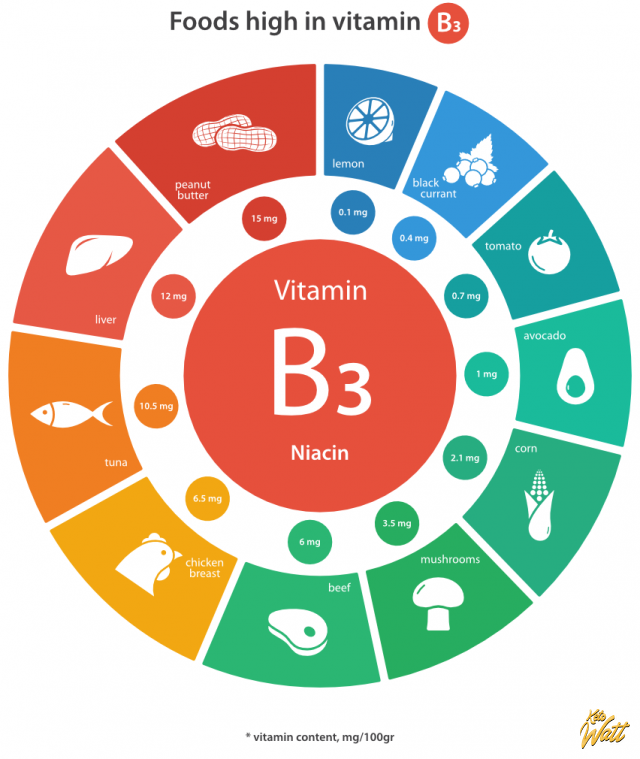 At the beginning of your keto journey, it might be that you’re missing most of the B vitamins, not just niacin. To prevent hair loss, make sure to add a B-complex supplement to get all the necessary nutrients. 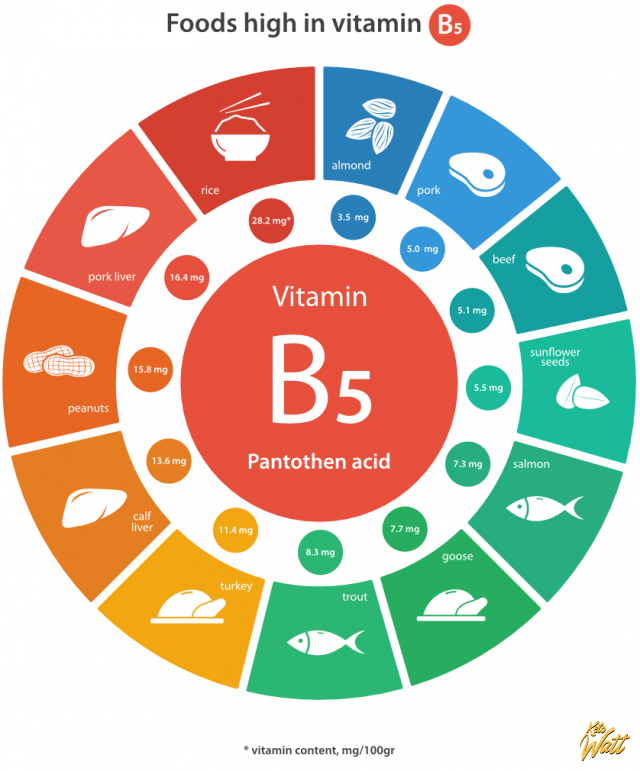 Vitamin B5 (pantothenic acid). A research from 2010 published in the Journal of the International Society of Sports Nutrition suggests that those who restrict carbs to less than 20 grams a day mostly lack Vitamins B5 and B7, which still doesn’t mean you’re safe when it comes to other vitamins from the Vitamin B family. Vitamin B7 (biotin). This water soluble vitamin is much needed for cell growth, various metabolic reactions and proper fat metabolism. Biotin is often recommended to maintain healthy hair and nails. A study published in the Journal of the Hair Research Society in India has shown that 38 percent of women with significant hair loss were deficient in this vitamin. Vitamin B12 (folic acid). There’s no strong research supporting a connection between the lack of folic acid and hair loss. In fact, in a study done on 3.000 people, 40 percent of people in the studied group were deficient in B12. This shows that deficiency is widespread among all cultures and groups, and yet most people don’t have problems with hair loss. 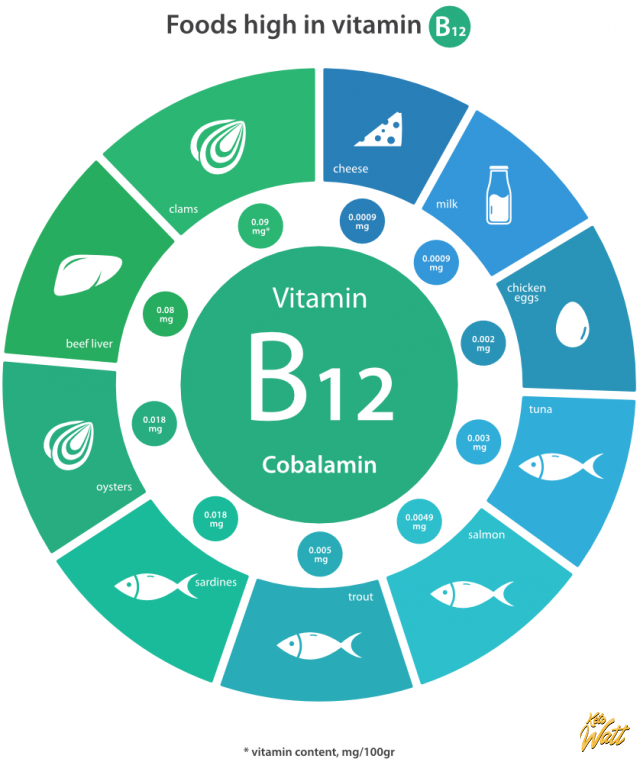 Just to be on the safe side, make sure that you don’t leave out foods rich in B12 from your diet. Some low-carb sources of vitamin B12 include vegetables such as spinach, asparagus, and Brussels sprouts, as well as poultry and dairy products, eggs, and seafood. Underactive thyroid can cause significant hair loss if left untreated. The loss is often easy to notice as it involves the entire scalp. With successful therapy for hypothyroidism, regrowth takes only a few months, but the hair might never return to the state it was before the hair loss. Because keto diet limits carbohydrates to less than 10 percent of the daily food intake, people with thyroid disorders have to be careful on this food regimen, as the glucose from carbs is necessary to establish the production of thyroid hormones. Why people with adrenal gland disorders lose hair isn’t quite clear yet, but several studies suggest it might have something to do with overproduction of androgen in the adrenal glands. Even though adrenal fatigue isn’t considered a “real disease” and therefore not recognized by Endocrinology societies, those that allegedly have this condition claim it’s mostly caused by stress. Regardless of cause, if you’re stressed and you try to reach ketosis, it will hardly work because stress is known to increase glucose levels in the blood. Some autoimmune diseases such as alopecia areata, Hashimoto’s disease, and several types of lupus may attack hair follicles and cause hair loss. Alopecia affects more than five million people in the United States only; and almost 150 million people across the globe. When a person suffers from alopecia, their immune system attacks healthy hair follicles. Hashimoto’s disease is a leading cause of hypothyroidism, and it can make your hair coarse and prone to falling out. Lupus is a disease that currently affects more than 1.5 million people in the U.S. It comes with a variety of symptoms such as headaches, fatigue, pain in the joints, as well as hair loss. If antibodies attack healthy hair follicles and scarring occurs, hair loss is permanent in the affected follicles. Stress is one of the main reasons for your hair loss. Going low-carb (or any other major dietary change for that matter) comes with a few setbacks such as hair loss or a rash, which is no big deal since it’s a temporary annoyance. If you’re too strict about what enters your body, you might want to consider loosening up a bit. If you haven’t eaten high carbs for a long time, this might be a reason for your stress, as many people reported feeling better after carbing up from time to time. Also, for a person losing hair, stressing about it can only make things worse. If you’re a guy, don’t despair, bald guys can be extremely hot. Jokes aside, we have to accept what is given to us and make the best of it— so why not just shave your thinning hair off and try to pull it off like a Hollywood star. If you noticed that you can’t fall or remain asleep after going low-carb, you’ve probably developed keto insomnia. Poor sleep is one of the common characteristics of the initial stage of ketosis. According to research, after the initial adaptation phase passes, a keto diet can later improve your quality of sleep. Consuming less protein that you used to before switching to high-fat diet could be the reason for your thinning hair. Hair consists mostly of keratin, which is a form of protein, so it’s no wonder that the lack of this important nutrient might affect your hair. Experts recommend consuming 0.5 to 1 gram of protein per kilogram of your weight. Although keto wasn’t precisely designed to treat gut health, it can do wonders for your microbes. When you start adapting your body to keto, it’s possible that you’ll skip some vegetables high in carbs that might be good for your gut such as beans and legumes. Gut health affects every cell in the body, including hair and skin, so it’s crucial to maintain a healthy microbiome to avoid leaky gut syndrome, a condition which allows toxins to enter your system and cause many health issues, including hair loss. If you’ve been doing keto for a while, there’s a chance that you’re deficient in biotin, which can make your hair shed more than usual. 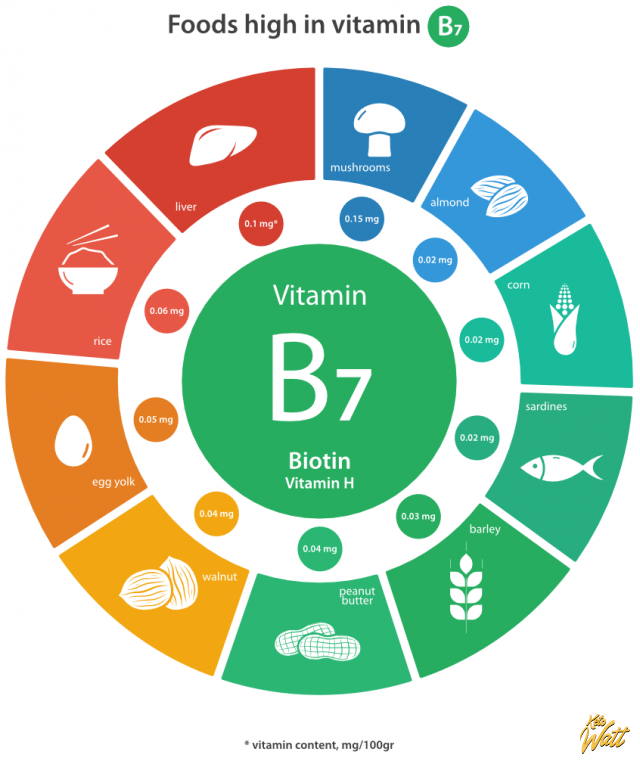 Try increasing your biotin intake, either by food or a biotin supplement. A study conducted on mice suggests that biotin plays an important role in hair loss prevention, but it’s even better in combination with probiotics, as they help to produce biotin in the body. Supplementing with probiotics or adding them to your diet can do a lot not only for your hair, but for your gut, and the overall health as well. Cottage cheese and Greek yogurt are not that low in carbs, but can still be included in your keto diet. For instance, 150 grams of Greek yoghurt contains 11 grams of protein, and five grams of carbohydrates. MSM powder is one of the best antioxidants available as it’s able to increase energy, improve physical function, relieve arthritis, inflammation, chronic pain and allergies. It’s often called a “beauty mineral”. It’s a form of organosulfur found in all humans and animals, and many plants. Sulfur is present in abundant amounts in the keratinized cells of hair where it makes strong bonds that will become a healthy hair follicle. For several years now, the supplement has been in use for hair-growth properties in people who went through sudden and increased hair loss. Bear in mind that cooking foods rich in MSM decreases its presence. Derma rollers use micro-needles to prick the skin and activate the snoozing stem cells, thus forcing the skin to regenerate itself by producing more fresh collagen. This little item was useful in hair loss treatment in both cases, with and without minoxidil — a solution used to promote hair growth in cases of male pattern baldness and women with thinning hair. Derma rollers are also found to work in cases of Androgenetic Alopecia. Besides being extremely pleasurable, massages are highly beneficial in the treatment of muscle tension, pain and different forms of stress that the body goes through. Head massages increase blood flow to the scalp which will stimulate the capillaries and hopefully promote regrowth. A small Japanese study found that there’s no significant change in hair count after 12 weeks of regular massage with a scalp massage device, but does show a promising decrease in hair-loss related gene expression. Some people cringe at the mere idea of eating cartilage, but it’s where the most collagen is stored. With its whopping collagen and amino acids content, bone broth is a healing superfood, and we all know how important collagen is for a healthy hair, skin, and nails. It’s best to make your own keto bone broth at home, just make sure that the meat /bones you purchase come from healthy animals. A broth made like this is packed with essential nutrients to keep every cell in your body healthy, and it’s a smart option for every diet, especially keto. 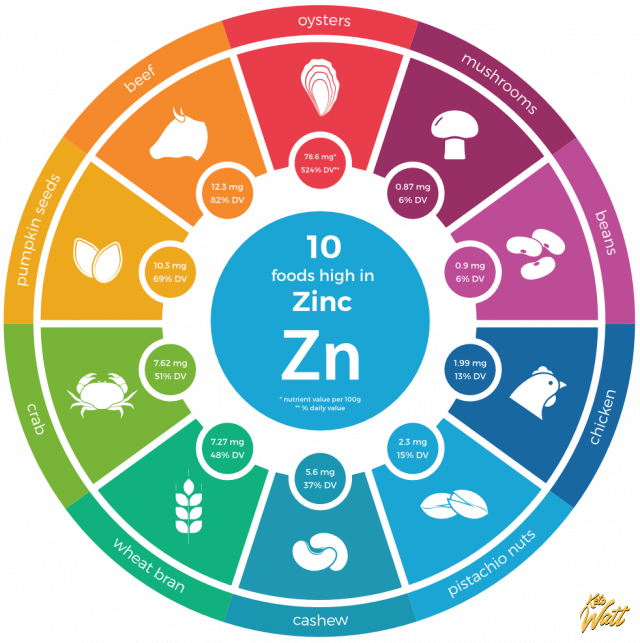 In a study conducted on obese patients that have rapidly lost a lot of weight and hair as well, supplementing with zinc not only stopped further hair loss, but reversed the process in under six months. The main fatty acid in coconut oil is lauric acid. It is able to reduce protein loss in both healthy and damaged hair, which is impossible for most other oils. It is the only oil that can penetrate inside the shaft. When it comes to ketogenic dieting, the best version of coconut oil is unrefined oil — a type of virgin oil naturally pressed from the coconut meat. This process retains all the nutritional benefits and medium chain triglycerides (MCTs), fats that turn to ketones. Peppermint oil — with its cooling and refreshing effect — has the ability to stimulate hair growth and increase blood flow around the scalp. Caffeine seems to affect hair growth. Caffeine present in shampoos strengthens roots of the hair, improves its structure, and promotes hair growth. Caffeine might also block the effect of DHT – the hormone most responsible for hair loss in men, as well as women. There’s actual research on the benefits of pumpkin seed oil in men with mild to moderate baldness. Men treated with pumpkin seed oil had more hair after the treatment when compared to the placebo group. Hair count was increased by a surprising 40 percent after 24 weeks of treatment. This highly popular plant extract and a supplement is said to promote regeneration and repair of the hair by activating the cells responsible for growth. The plant has been used as a part of traditional medicine for centuries. 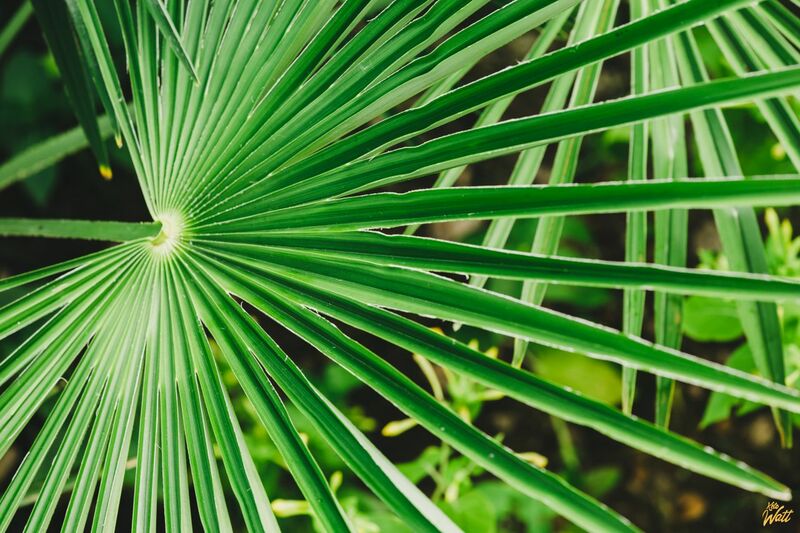 The actual human studies on the connections of saw palmetto and hair growth are limited, but there is a small study claiming that the palm extract might be useful as a treatment for alopecia. A study conducted on mice suggests that the saw palmetto supplement promotes hair regeneration by activating the pathways responsible for hair growth. 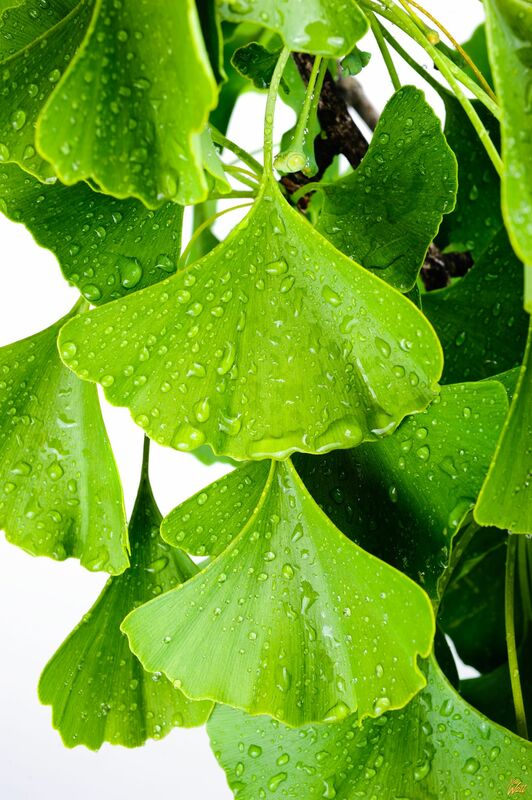 Flavanoids from the Ginkgo biloba plant reportedly stimulate hair growth by increasing blood flow to the scalp, thus providing more nutrients to the hair, and have been part of the alopecia treatment regimen for some time now. The research is quite limited, with a few small animal studies. 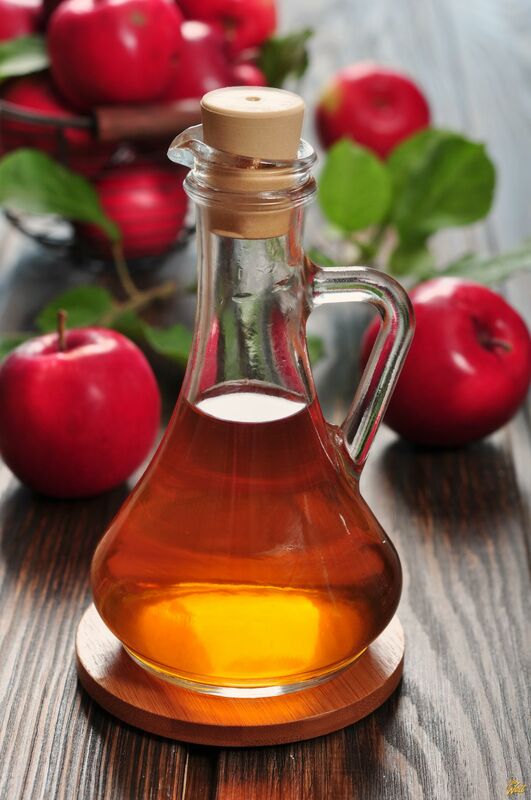 Apple cider vinegar is an old folk remedy quite popular in ketogenic circles as a weight loss aid, but did you know that rinsing your hair with ACV is a popular method to make your hair shine? Everyone seems to be doing it: rinse the hair with the mixture of four tablespoons of vinegar and a cup of water, and massage the solution onto the scalp. This is supposed to stimulate blood circulation and hair growth, but unfortunately it’s not backed by research. L-lysine — an essential amino acid — is a common conversation topic in recent years among people with hair loss problems. It’s able to rebuild keratin structures in skin and hair. 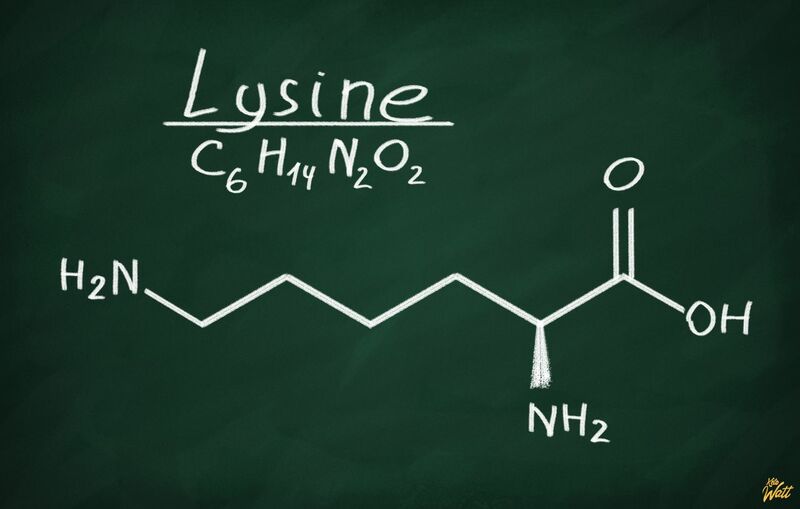 L-Lysine is often added to DHT blockers for increased effectiveness. It promotes hair regeneration in people who went through hair loss, especially those suffering from male-pattern baldness. There’s a small human study that supports the fact that onion can be used as a treatment for hair loss, but more research is needed. 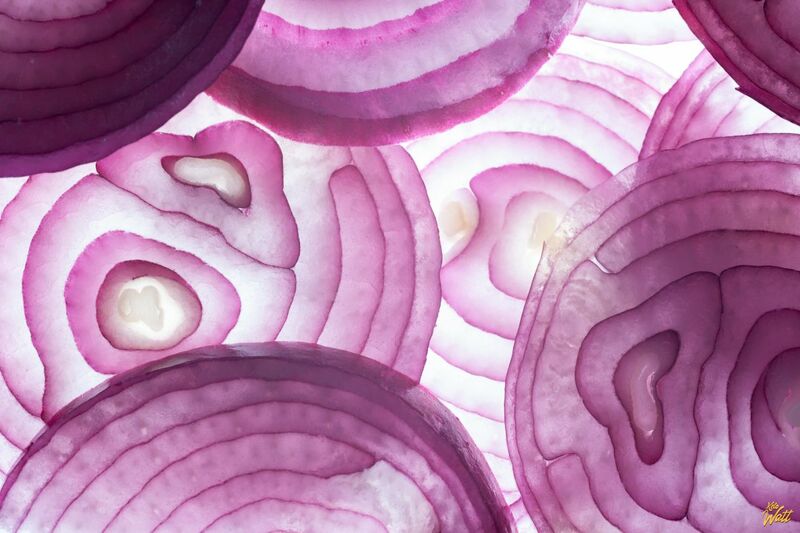 Onions contain sulfur which increases collagen production, which apparently helps the skin cells to remain healthy. To grow well, hairs need extensive blood supply and therefore anything that might affect the quality of this supply might be the cause for hair thinning and hair loss. Hair loss is mostly a benign disorder which passes relatively quickly and doesn’t cause physical harm but it might affect self-confidence and overall quality of life. A ketogenic diet can definitely play a role in hair loss, but this shouldn’t be a reason to worry, as the benefits of keto diet are numerous and a short-term hair loss shouldn’t cast a shadow on this amazing lifestyle. On the other hand, if you’re experiencing severe hair loss which seems like it’s not going away, contact your physician because it could be some underlying condition that needs treatment. Sometimes hair loss caused by keto diet is just a temporary nuisance and hair follicles are resting just to reappear even shinier and more beautiful.